Board member Leah Williams advocated for more funding for ME/CFS research during several meetings with Massachusetts members of congress in Washington DC in mid-March 2017. These meetings were some of the 30 meetings held by a group of advocates, coordinated by the Solve ME/CFS Initiative and the Congressional group of the U.S. Action Working Group. 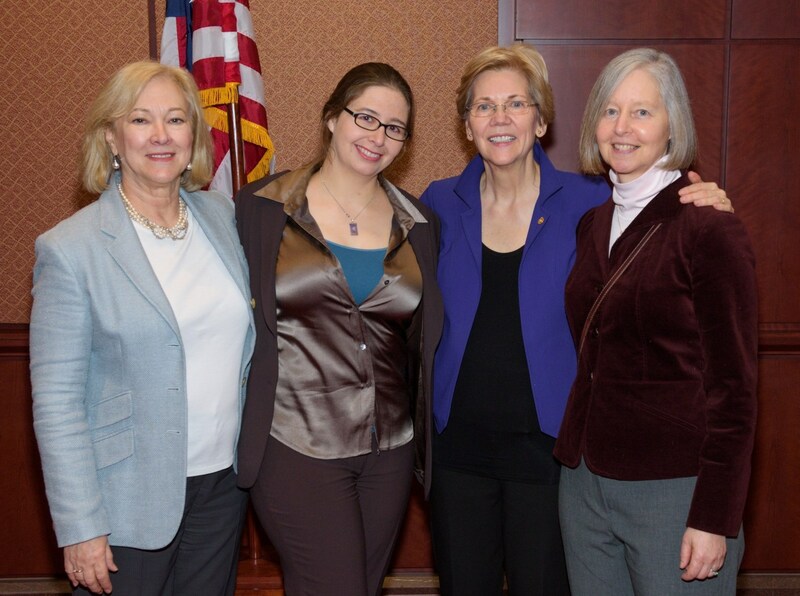 Left to right: Carol Head, President of SMCI; Emily Taylor, SMCI Director of Advocacy and Public Relations; Senator Elizabeth Warren (MA) and Leah Williams, patient advocate and board member of Massachusetts CFIDS/ME & FM Association. 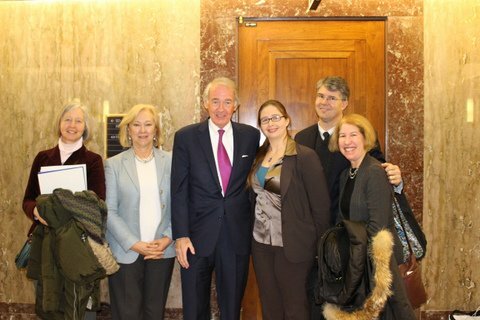 For a more complete report on the week's activities, see "Solve ME/CFS Initiative storms DC to tackle the Federal Budget."